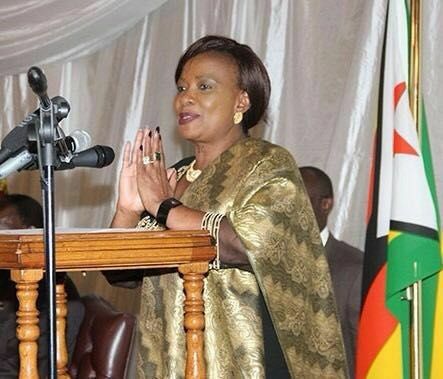 First Lady Auxillia Mnangagwa has denied meddling in the internal power struggles rocking the Zanu PF youth league. Social media has been awash with claims that she sponsored no-confidence votes against youth league politburo secretary Pupurai Togarepi, his deputy Lewis Matutu and two others on allegations of “failing to protect President Emmerson Mnangagwa and treachery”. The First Lady, in an interview with NewsDay, said she had, since inception of the new administration, disengaged from active party politics. “I was not involved in any manner or form. I am not on a salary that I would get money to throw at Zanu PF internal politics. It’s not in my nature. I have no time for politics and that is why I have disengaged following the ushering in of the new dispensation. I want to concentrate on charity work and please allow me to do that,” she said. NewsDay has gathered that Matutu and Togarepi met Auxillia on Monday to iron out differences at which the two apologised “profusely” on behalf of the youth league. “They met and the two youth league leaders apologised, especially Matutu, because his name was constantly mentioned, amid claims that he had been a target of Auxillia’s anger,” a source close to the matter said. Matutu confirmed he had apologised. “Indeed, she is my mother and I cannot even begin to be mentioned in the kind of manner as things were being said. There were people seeking to drive a wedge between myself and her,” he said. Togarepi said he had been appalled by the messages circulating on social media regarding the First Lady. “I had to do something. So I took Matutu to the First Lady and everything is alright now. She has refused to be dragged into politics like our previous First Lady (Grace Mugabe), who would summon me all the time,” Togarepi said.